Nearing the end of its third year on tour, the Mobile Grill Academy is far from cooling down. 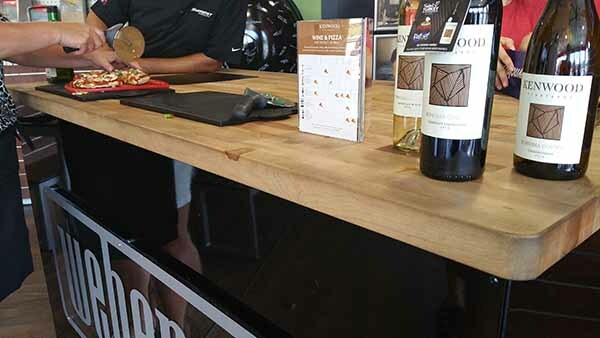 On August 13th and 14th, the Mobile Grill Academy kicked off its latest partnership with Kenwood Vineyards of Sonoma, California, with grilling classes in Naperville and Orland Park, Illinois. What was on the menu? Pizzas. What goes well with pizza? Wine. The perfect combination. The class began inside the Mobile Grill Academy with a quick overview of the grilling basics (and even a few gifts). Using the color Q® our Weber Grilling Specialists gave us some tips on cleaning the grill, indirect vs. direct cooking methods, and keeping the lid down. “Remember, lookin’ ain’t cookin’. I live by those words! I know you want to sneak a peek and make sure it’s cooking, but trust me, it’s cooking! By opening the lid, you’ll let out a lot of that evenly distributed heat. 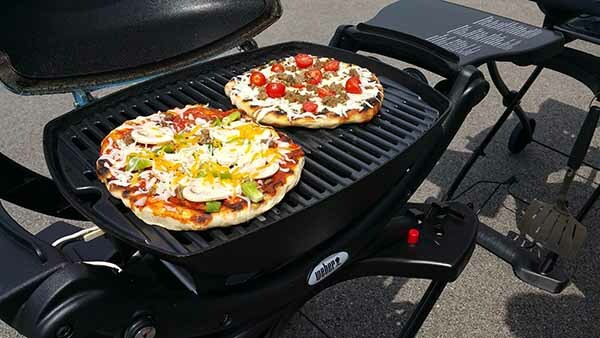 Make sure you pay attention to the temperature for consistency," said our grilling specialists. Before heading outside, we were taught how to grill a pizza in just a few easy steps. Learn how to make your own pizza here! With a variety of delicious toppings and under 10 minutes, we were ready for lunch. Afterwards, we were invited to taste the featured Kenwood Sonoma wines in the neighboring Jewel Osco. Did you know that Sauvignon Blanc goes well with veggie and sausage pizzas, Chardonnay goes well with cheese pizzas, and Pinot Noir goes well with mushroom and Hawaiian pizzas? If you love pizza, Kenwood’s Sonoma wines offer something for every taste. Kenwood Vineyards was established in the 1970s in the very heart of Sonoma, where they started premium winemaking in the region. To learn more about Kenwood Vineyards, visit https://kenwoodvineyards.com/. Check out our upcoming tour dates and locations here and here and follow the Mobile Grill Academy tour on Facebook.